It is the summer of documentaries, and after RBG and Won’t You Be My Neighbor? I’m happy to report there are two more excellent films to add to your list. They are very different, but both tell some of the most compelling stories of the year. It’s difficult to review documentaries because you can’t very well review their subject matter. I can’t review and critique Whitney Houston and her life, so with Whitney I have to think about how the film presents the information it has. How does it tell her story? What kind of bias is introduced? What does the audience take away from the film? In Whitney, we see her entire life, from childhood to rising star, to troubled singer to her tragic death. Director Kevin MacDonald stays mostly mute during the film, letting the interview subjects- close family and business associates of Whitney- speak, squabble, and accuse. Whenever one person accuses another of something, the accused gets to speak. I don’t want to reveal the biggest revelation the film digs up, but it turns the already somber film into a different piece of work about the artist’s life. It not only searches for answers to Whitney’s pain, but in all of the right moments, simply lets us live in it. Some things don’t have explanations, and I appreciated that the film just lets Whitney speak for herself in some cases, and doesn’t try to connect everything that happened with a reason. That said, as someone who didn’t know much about Whitney Houston before seeing the film, I learned a lot from not only hearing about the events in her life, but also from the various viewpoints on how those events occurred, the responses to them, and the effects on Whitney. The film balanced those two elements thoughtfully. Walking away from the film, I am left with feeling like I just heard an Old Testament tragedy. A family, broken by addiction and greed and misplaced love, and at the center of it, a girl without a foundational identity and sense of purpose. The film is compassionate to its subjects, but unblinking in its depiction. Three Identical Strangers is not as fair or compassionate as Whitney to the “enemies” of its subjects, but is one of the best thrillers of the year. What starts out as the lighthearted, human-interest story of three 19-year-olds finding out they are identical triplets, separated at birth, becomes a dark and uncomfortable tale as revelations are made about the circumstances surrounding their separation. The less you know going in, the better, but let’s just say that if you were born in the 1960s and adopted through a Jewish agency, you might come out thinking that you just might have a long-lost twin somewhere out there. It’s a story about nature vs nurture, the lies we tell ourselves to cope, and experimental ethics. The film ends with an angry plea for justice, which means the story of these three identical strangers, if the film becomes influential enough, may not be done quite yet. Aesthetically, both films make use of talking heads (people looking at the camera as they are being interviewed) and footage from different media sources. 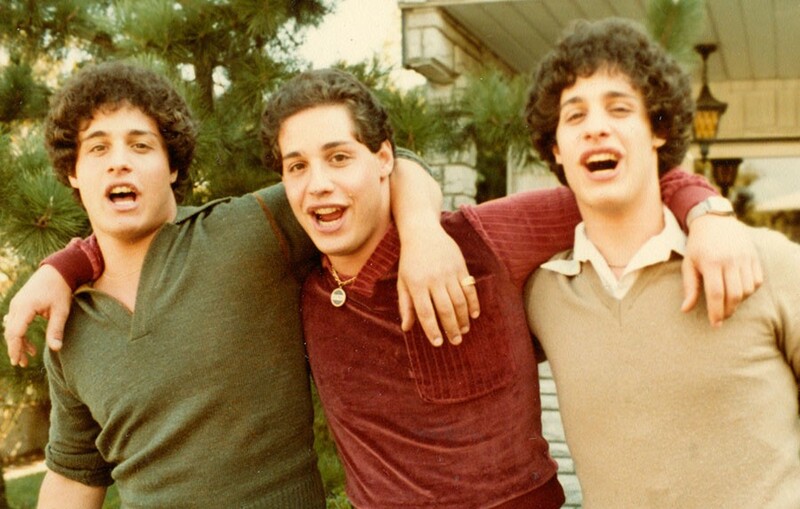 Three Identical Strangers also makes use of reenactments in the beginning of the piece, and clips along at a nice pace. It’s not flashy, but it gets the job done. Whitney, while a little too long, is excellently edited. It mixes famous public footage (MTV and talk shows) with home-videos that capture Whitney unfiltered. 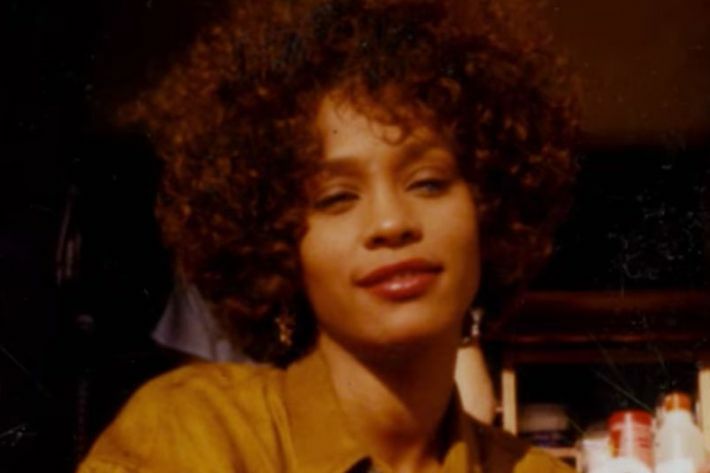 It includes three montages of Whitney singing, intercut with clips of cultural touchstones that depict rapidly the environment Whitney was in and what the world was using her music to help them face. While neither film tries any cutting-edge documentary techniques (like the rotoscope animation used in 2016’s Tower or the animation from 2016’s Life, Animated) they still get their stories effectively and engrossingly across. I don’t know why documentaries are having a box-office moment this summer. Perhaps the normal fare is weaker this year. Maybe MoviePass is encouraging people to see films they wouldn’t have considered otherwise. Perhaps, hearing true stories is a cathartic way to remind ourselves that nothing new is under the sun. Real life is crazy and bizarre and sad and beautiful, and we may find more security after we’ve made peace with that than if we only ask art to provide us an escape. Both of these films make the audience have an experience, an experience that draws us closer to fellow human beings, living and deceased. If that’s not worth the price of admission, I’m not sure what is. July has been a hectic month, but nothing can stop me from seeing movies, so here is what you need to know about these three new releases. After Infinity War, Ant-Man and the Wasp is somewhat of a palette cleanser. Not from any of the Marvel formula, but from even pretending to have stakes. It sheds the foreboding nature of Infinity War and relishes in simpler times, by redoing jokes from the first film and being just as pleasant. I had a great time watching it, but I struggle to remember much, and while things technically happen in the lives of the characters, there aren’t any far-reaching consequences for the MCU as a whole, nor is there anything thematically to take away. It does make a few improvements on the first film. The villain, Ghost, played by Hannah John Kamen, is not only a visually arresting character but one with twisted motivations who gets a surprising ending for an antagonist. 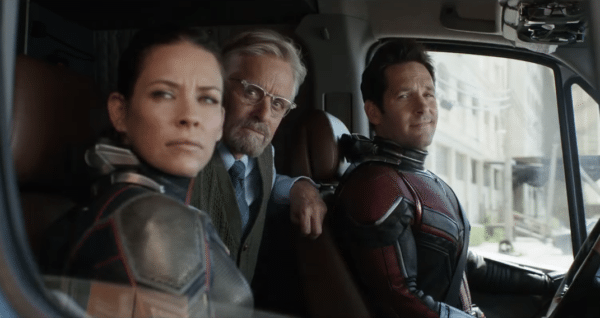 Evangeline Lilly and Paul Rudd continue to make a charming pair, and seeing them work together in a way no other pair of superheroes have in the MCU is exciting to behold. And Michael Peña continues to steal the screen and our hearts. But all of that isn’t enough to make it a necessary film. And while you may ask, are any of these movies actually necessary? within the story the Marvel brand is telling as a whole, Ant-Man and the Wasp is a pleasant romp but very forgettable, and when the other Marvel films are going in an exciting new direction, this feels like a step back. Leave No Trace struck me in a place I haven’t been struck since my favorite film of last year, The Unknown Girl. Both films tell small stories about people struggling with messy, complicated ethical decisions, who ultimately bring out the best in other people and themselves through conviction and will. 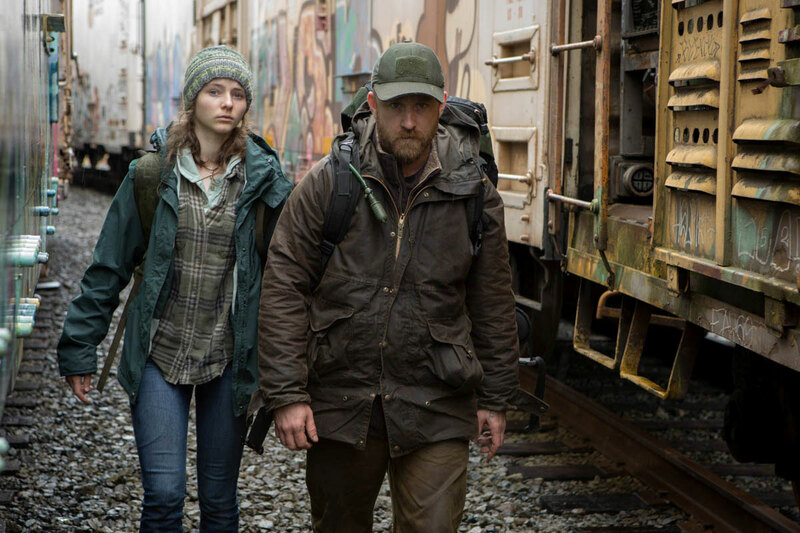 This slow and enchanting Debra Granik film never goes where you think it will, and ends with a startling conclusion that works perfectly with its compassionate, melancholy, yet hopeful, story of a father and daughter struggling to keep out of a society they cannot rest in. Watching the coming-of-age of daughter Tom (Thomasin McKenzie) and her realization that her desires might be different from her fathers is both heartbreaking and empowering, told with the nuance of experience by Granik. I won’t say more, because the less you know the better, but I would say it’s a must-see. If you liked the first Mamma Mia, then you’ll like this one. Case closed. I tried to hold you back but you were stronger. Oh yeah! And now it seems my only chance is giving up the fight. And how could I ever refuse? I feel like I win when I lose! Jurassic World: Fallen Kingdom is the second installment in the reboot of the Jurassic Park franchise. I found the first Jurassic World (2015) dumb and boring. This movie is a major improvement in that it is dumb and off its rocker, which if your movie isn’t good, is the second-best-thing. Fallen Kingdom takes the franchise out of the park, finally justifying the “Jurassic World” title and taking the series in a different direction. Director J.A Bayona has a horror background and puts it to good use here. The lighting and cinematography, along with setups and suspense, flip-flop between being unique and almost shot-for-shot copies of the original Jurassic Park, but are all used well within the story. It’s a monster movie, with visual allusions to Godzilla, King Kong, and werewolves. While it doesn’t always succeed, Fallen Kingdom is an ambitious next step, and I find that very admirable for a franchise. Of course, it doesn’t experiment with everything. We’ve still got our two leads from the first film. Chris Pratt is Owen, aka Chris Pratt, which I’m pretty tired of right now, but hey, he does leading man well. But it’s really Bryce Dallas Howard as Claire who really gets to shine here, taking her character development from the first film even further, and giving a terrific balanced performance of action-hero competence and raw emotion. The movie also tries to, like its predecessor, attempt some winking-topical “humor”. The first used its corporate focus and egregious brand-promotion to say… something meta. I don’t think it succeeded. Fallen Kingdom has a military character call a character a “nasty woman” and has the rich billionaire villain have a Trump-style hairdo. Oooh, back up everyone. This is a topical film, not here to mess around. These attempt at relevancy are shallow, meaningless, and fall flat. It’s okay Jurassic World, you don’t need to do anything like that. You know what you’re about. The ultimate argument of the film is that since humans brought dinosaurs back to life, it’s our duty to give that life as much freedom as we give other living things. This is encapsulated by a child named Maisie, a human clone (yes, you’re reading that right) releasing the dinosaurs into the world and saying they’re “alive like I am.” Which might be a more convincing argument if human clones were real, but… they aren’t. Yet. This film does not dive into human cloning and this revelation, which is probably just a set-up for the third movie, feels a little cheap. Furthermore, these dinosaurs were brought to life by a tiny group of powerful people who promised to keep the dinosaurs safely away from human civilization. Their malpractice should not mean a more dangerous world for everyone else. As my vegetarian sister counter-argued against the dinosaurs-should-be-free-despite-being-a-danger-to-humans argument: “I try not to eat chicken, but if a giant chicken was going to eat you, I would eat it.” In other words, unless we believe dinosaur life is of completely equal value to human life, then we should prioritize the safety of humanity. To its credit though, the film does do an excellent job setting up its thesis. It shows how similar humans and these dinosaurs can be. Both kill each other and both are capable of love, protection, and emotion. The dinosaurs have emotional range! It sure sets up an interesting debate on the sanctity of dinosaur life and freedom. And having the “parents” of Jurassic World (as a character in the film labels Owen and Claire) make the mess, and then the new generation (represented by child Maisie) take on that responsibility, is surprisingly touching. All that doesn’t mean the film isn’t silly and derivative at times- it is- but I’d rather watch a film taking a running dive off the deep end than shrug in mediocracy.